Raising a staggering £5792.43 for Storrington First School, the 2016 annual village Duck Race has been applauded as one of the best by everyone who came and the sun certainly did shine for the occasion. Put on by the friends and family of Storrington First School alongside the ever-eager teachers and a fair few helpful pupils too, the day was a triumph of food, fun and feather flapping fast-ness as the Ducks raced for a place in the last race and the chance to win cash prizes. Stealing the show as ever was the sizzling Dad’s BBQ where a record number of burgers and sausages were hand served to a never-ending queue of eager eaters happy to wait in line for a feast from the fathers. The cake stall gave the BBQ a run for its money this year with the table struggling to take the weight of all the home made treats and tasties to put Mary Berry to shame….it seems Storrington really does have bakery talent. Well, I got to the end of the race at least. I will update you all soon on how well I did, but right now Michelle says I have to focus on my recovery. She says immediately afterwards I need to have a warm bath/shower, soak my feet in cool water, have a nice meal and a drink or two to celebrate. So that’s what I am off to do. I have booked a massage to aid recovery and prevent soreness, and I plan to take a couple of days off and then start off gently with a walk, swim, etc. and see how I feel. After all, it’s only 364 days till we go again…..
It’s the big day today! It’s the big day and I am N.E.R.V.O.U.S.! So I managed an early night last night thanks to a long, hot bath with Neal’s Yard Relaxing Bath Soak, my favorite if anyone ever wants to treat me. I attacked my webs with the pumice stone, all this running and swimming has taken its toll and I fear I am developing a callous to rival Victoria Beckhams’ famous disfiguration. Anyway, I digress, it’s the nerves you know. Michelle told me I must eat breakfast, even a small amount is good she said, so I took her at her word and tucked into cereal, yoghurt, fruit, full English, toast and tea. Feel much better if a little heavy around the middle which I hope doesn’t result in me sinking…. Anyway I digress again, it’s the nerves you know. Michelle says to take 5 minutes to think about what I’m going to be doing, visualise success! She says if you feel nervous try deep breathing, breath in for a count of 5 and out for a count of 7. Iiiiiin, ouuuuuuut…..that’s better. Calm now. So I need to allow plenty of time to get to the start…that’s me off….see you all on the other side! So with less than a week to go, I am more focused than I have ever been. Training regime wise, it’s all about the “taper but don’t get confused. This is not about the style of trouser I plan to wear on the day. My personal trainer Michelle said “a week before the event, cut right back on the amount of activity. No long or heavy sessions” which sounds great to me, not quite putting my feet up but definitely planning to rest up at Duck HQ. She has also told me all about carb loading. She says that 3 days before the event I need to increase the amount of carbs I eat at every meal. I need to make sure I hydrate well too so I will be sipping water throughout the day. 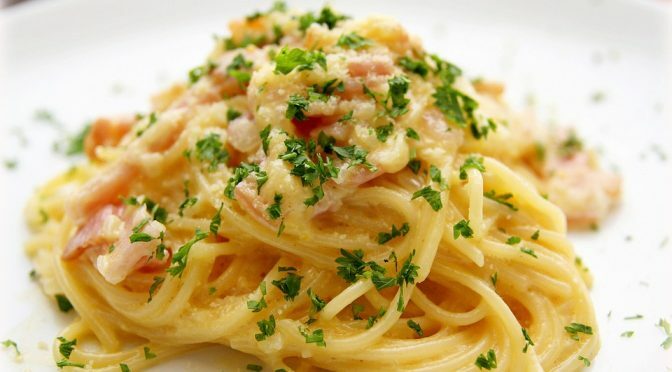 So, with this in mind I thought I would share my favourite pasta recipe with you all: SPAGETTI CARBONARA, the clue is in the name. 2 Sauté pancetta/bacon and garlic: While the water is coming to a boil, heat the olive oil in a large sauté pan over medium heat. Add the bacon or pancetta and cook slowly until crispy. Add the garlic (if using) and cook another minute, then turn off the heat and put the pancetta and garlic into a large bowl. 3 Beat eggs and half of the cheese: In a small bowl, beat the eggs and mix in about half of the cheese. 4 Cook pasta: Once the water has reached a rolling boil, add the dry pasta, and cook, uncovered, at a rolling boil. 5 Toss pasta with pancetta/bacon: When the pasta is al dente (still a little firm, not mushy), use tongs to move it to the bowl with the bacon and garlic. Let it be dripping wet. Reserve some of the pasta water. 6 Add the beaten egg mixture: Add the beaten eggs with cheese and toss quickly to combine once more. Add salt to taste. Add some pasta water back to the pasta to keep it from drying out. Serve at once with the rest of the parmesan and freshly ground black pepper. If you want, sprinkle with a little fresh chopped parsley. If pasta is not your thing, don’t forget on Duck Race Day that the ever-popular BBQ will be “on-fire” and the cake stand is shaping up to be the best stocked yet. There will also be sack loads of sweets and copious bags of candy floss so something to tickle every palette. Mmmmm my taste buds are racing! 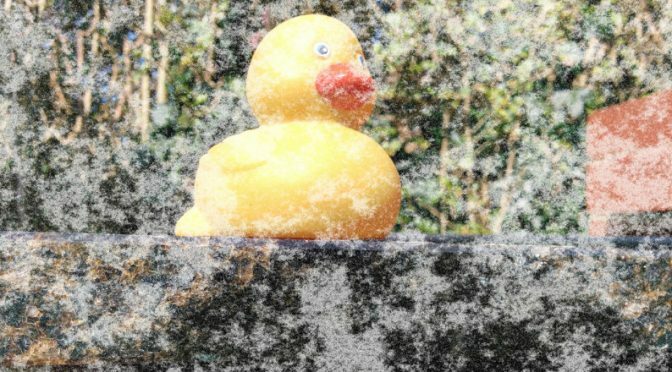 Brrrrr, have you bought your ducks yet? Brrrr, I’ve been out for a paddle this morning and I have to say that whilst the stream is looking stunning with the daffodils in full flower and the sun shining, I was not expecting snow yesterday nor the temperature to have plummeted so much! 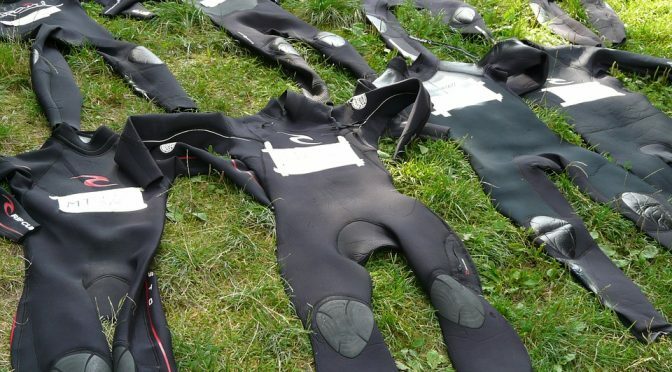 But you are not to worry about me, I luckily have not put away my winter wardrobe yet and I was able to fluff up my feathers and get in the water for a final last push to get my time up to the P/B I am aiming for on race day. On that note, have you bought your ducks yet?? Far be it for me to tell anyone what to do, but buying your ducks ahead of the day means you can enjoy all the “fun of the fair” without needing to queue to place your bets. Keep an eye out for our helpers rattling tins and waving clip-boards, you will spot them in the village and they would love to see you. But before I go, I have been onto the Met Office as the snow yesterday worried me. It is hard to believe that last week saw the warmest day of the year so far when Porthmadog in Wales reached 20.3 celsius but by the end of the week we had snow showers across the north of the UK and sleet and hail showers elsewhere! As for the snow in Storrington, apparently it is more likely to snow in spring than at Christmas so we shouldn’t have been so surprised. Statistically, it has snowed on average for more days in March than it has in December, according to the Met Office. Snow or sleet falls on average for 3.9 days in December, compared to 4.2 days in March. And while April is a bit of a different story, with only 2.3 days of snowfall on average, it’s not entirely unheard of. Have you ever heard the old saying: ‘Ne’er cast a clout, until May is out’? It basically means, don’t throw away your winter clothes until June, because May has always been a bit of a weather free-for-all. So don’t worry – only two more months and then all this confusion will be over. There is a change afoot? The pressure pattern looks set to change and this will lead to a subtle shift in wind direction. Weather systems will have more of an Atlantic influence, rather than a straight northerly influence, and this will mean that by day temperatures will slowly become less cold and eastern areas will at times see temperatures creep above normal. However, on balance the UK average temperature is likely to fall below average for this time of year. We are expecting to see weather systems to affect the whole of the UK with everyone at some point seeing outbreaks of rain pushing through with the continued risk of Scotland seeing some snow over the mountains so I pity anyone North of the Border. Quack quack!!! Sam here. Well what a week it’s been and its only Wednesday! The other day saw the fab Ben Smith of the 401 Challenge run a marathon in Storrington, I didn’t know there were that many miles in the village, the Duck Race course certainly isn’t that long, thankfully! Ben is aiming to run 401 marathons on 401 consecutive days all around the UK in order to not only break a record but also to raise £250,000 for charities Kidscape and Stonewall. By the time he got to Storrington on Tuesday he was on marathon number 232, having started last September. And he had such a hot day for it! As he pounded the pavements he managed to speak to BBC Sussex twice. He visited our lovely primary school Storrington First where he got the chance to run round the school fields with loads of the school kids! And I hear that they had great fun. He did a two lap course through some beautiful towns in Sussex with some amazing people! Lots of new PBs and lunch stops. So, well done Ben, you have set the bar high for our race day on 8th May which is coming around very fast. So fast in fact that it’s time to start placing your bets ladies and gents! Yes DUCKS GO ON SALE THIS WEEKEND!! So, keep an eye and a beak out for our lovely supporters selling ducks all over the place in the coming weeks. Feel free to approach them, they don’t bite, and they will be only to happy to sell you a duck for the big day…. 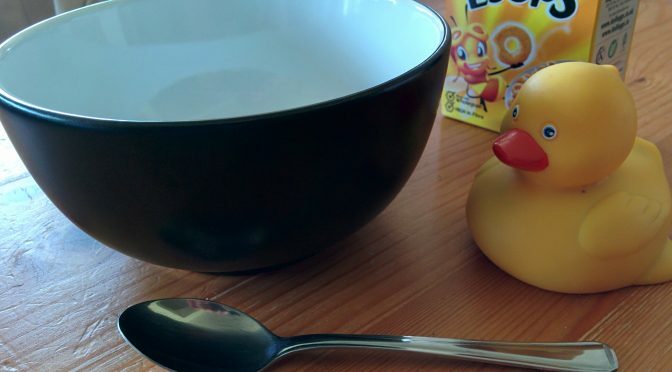 So if you’d like to make a duck very happy (while helping the school too!) please come along to the Henry Adams car park this Saturday 23rd or next between 10am & 12 noon to buy some of my little friends!! £1 a duck, a bargain if I say so myself. Gosh it’s harder than I thought all this getting into shape but without the encouragement of a good trainer I wouldn’t have made it this far, proof that having the right team is half the battle. This is what we have been doing this week, please feel free to follow my regime at home if you like and let me know how you get on…. So, for week 3, I need to push myself, one mile more. Michelle says “when you’re training for an event be sure not to push yourself too hard too fast. A good training plan will ensure that you can achieve your goal without injury or burn out. As a general rule increase your efforts by no more than 10% per week. “So Sam, the goal is a river of approximately 100m and with 4 weeks to go you want to be adding a little bit each week so by the end of April you can comfortably paddle about 90m. Try and combine your paddling with some waddling to get the added benefit of cross training. Simple body weight exercises like lunges and squats will help to increase your strength. With your feet hip width apart, spread your webbed toes for balance, bend your knees whilst sticking your bottom out behind you, wings out in front to steady you. So, I am going to keep on pushing through the pain barrier and aim for the 90m paddle on 8th May. How are you all getting on with your training for the big day? 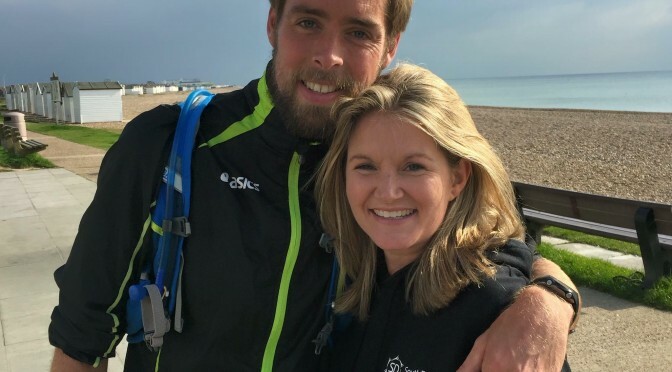 On Saturday 16th and Tuesday 19th April Ben Smith of the 401 Challenge will be running marathons in Storrington and would love as many people as possible to run some of the route with him. 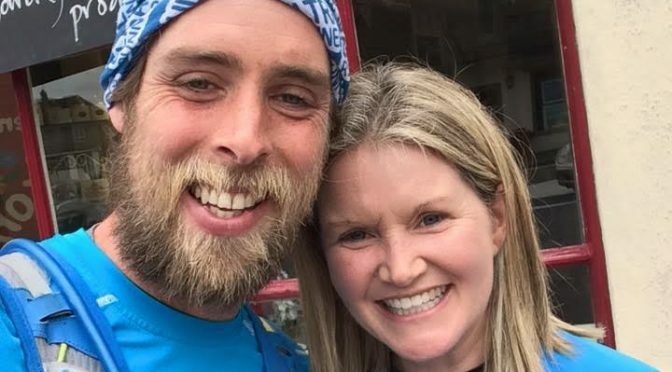 Ben is aiming to run 401 marathons on 401 consecutive days all around the UK in order to not only break a record but also to raise £250,000 for charities Kidscape and Stonewall. By the time he gets to Storrington he will be on marathon numbers 229 and 232, having started last September. You do not have to run far or fast! Ben welcomes everyone to run him; you can join him for a mile, 26.2 miles or anything in between. He runs at about 11 minute mile pace which, if you have any experience of running is a gentle pace. He stops regularly for breaks and refreshments too. He will be setting off from Chanctonbury Leisure Centre car park at 10am on both mornings. He will be doing a 13.1 mile route twice, around Storrington, along the bottom of the Downs, through Parham to Amberley and back to the Leisure Centre. As part of the Tuesday run he will be going to Rydon and Storrington First School to run with the children. Ben also welcomes non-running support too. He is living in a mobile home while he completes this challenge so if you could offer him a cooked meal or a load of washing doing then that would be great too! By the end of Tuesday 19th April Ben will have run a total of 232 consecutive marathons. This amounts to 6,078 miles which is the current distance from Bristol, UK (Ben’s start location) to Bangkok, Thailand (if Ben could run across water!). Ben has already broken the Guinness World Record for most marathons run in most consecutive days, the male record currently stands at 52 however we will be submitting our evidence for 401 marathons at the end of the challenge. Ben has participated in 3 official marathons but will complete a total of 11, including the London marathon by the end of this project. Since September 1st 2015 ben has ran his way through 10 pairs of running shoes. We have currently raise just £38,000 for our two chosen Anti-Bullying charities Kidscape and Stonewall via our Virgin Money Giving fundraising page. We have also launched an online store that provides technical running wear for adults and Anti Bullying T-shirts consisting of motivations messages for children. Part of this challenge is to raise awareness of the shocking effects bullying can have on an individual. Ben has already visited a number of education establishment to deliver motivational talks to young people about his experience of bullying and why he has decided to embark on this mammoth challenge. 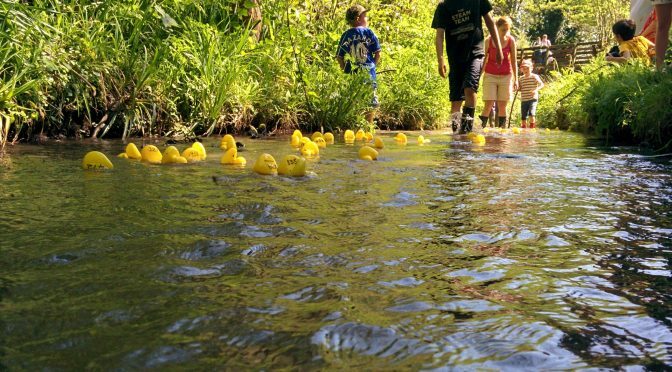 After the sun comes the storm and I don’t know about you, but now the clocks have changed it really feels like Spring is around the corner and that can only mean one thing, that Duck Race day is fast approaching so best get on with the training regime…. Michelle has been pushing me hard this week in my quest to throw off the winter weight and get fit for 8th May. So, for week 2, its all about style over substance and how the right gait supports you. Now that my training is well under way, it’s time to consider my form as well as my effort. Poor form can not only slow you down but also leave you susceptible to injuries. Move well before you move often! There are several ways you can check if you’re moving well. If you can, get an expert to help you. 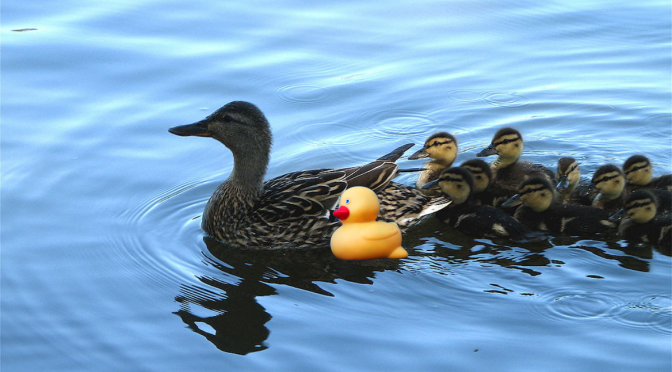 A qualified duck trainer will be able to encourage and advise you through your training. Maybe train with a buddy, get them to video you. I know this may feel uncomfortable at first but you’ll be surprised what you can see when you look at yourself from different angles. Just check the feathers are all in place first! 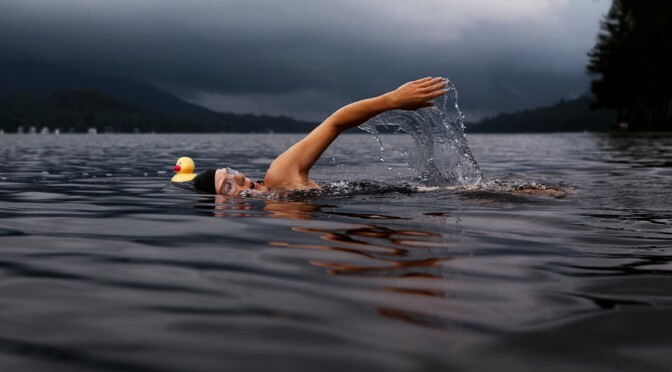 Some tips to help you out; when you’re paddling it should look effortless, neck held high, wings back flat to the body and a long smooth glide. When you’re waddling try to put the middle part of your foot on the ground first and make sure your knee bends over your toes not in to the centre. Use your wings to drive yourself forwards.